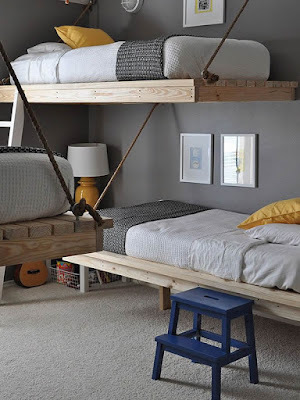 Either to save space, create a wonderful design or make some fun! 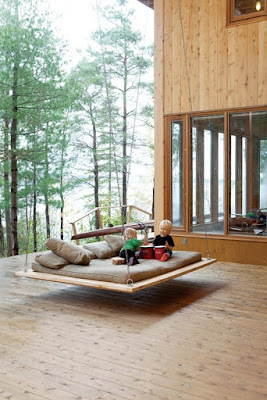 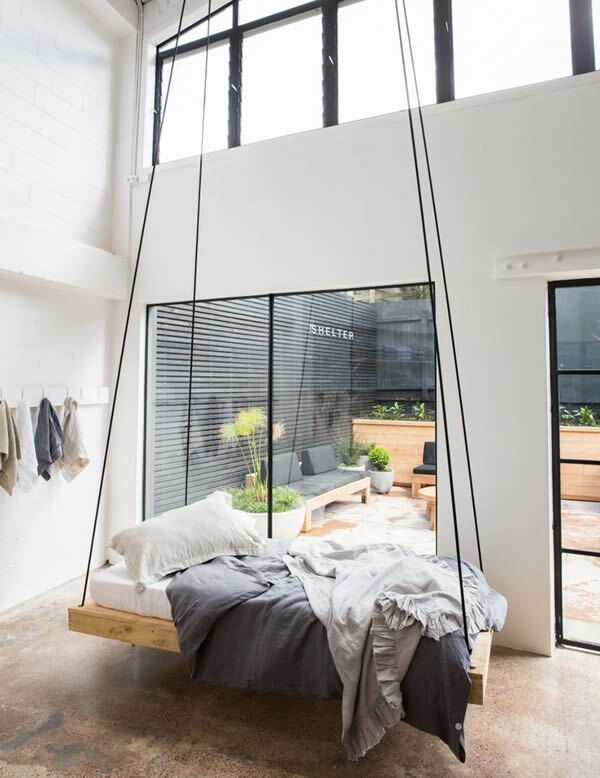 suspended bed will be cool at all levels of house corners. 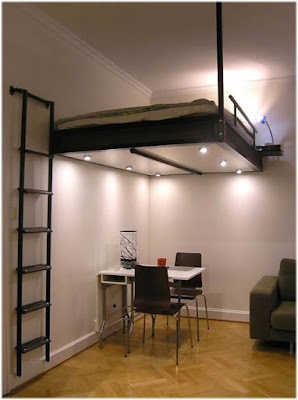 For those who do not know, the suspended bed is a model that can also be called a mezzanine bed or a loft bed. 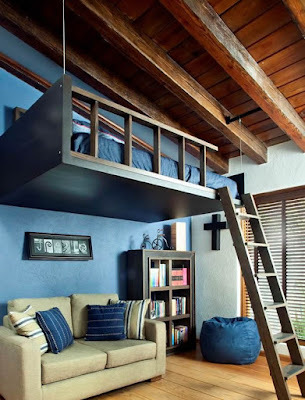 It's like a bunk bed, but it does not have the bed underneath and is supported in a structure so that it takes advantage of all the space that is below. 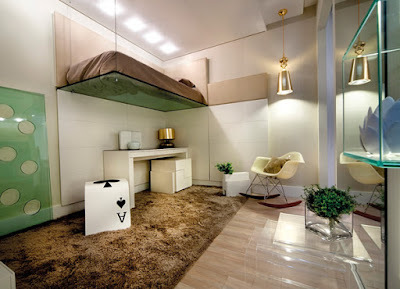 The idea of ​​suspended bed is interesting for those who do not have space in the room and want to extend the same. 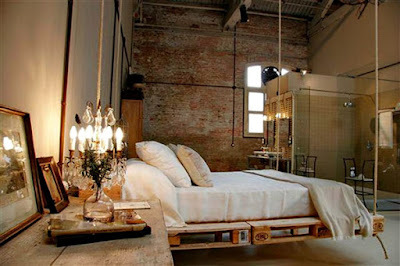 It serves for those who can not distribute the furniture of the room and ends up getting very tight. That's why we selected 20 models of suspended beds for those who want to broaden the ambiance of your room. 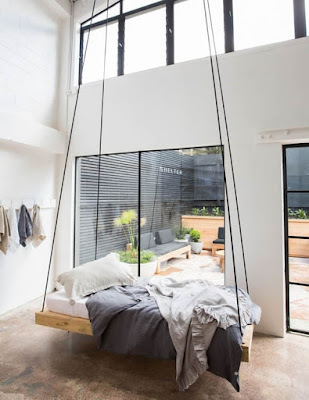 The interesting thing about having a suspended bed is that we can take advantage of the space underneath it to do other things such as if the room is a girl, how about a dressing table? 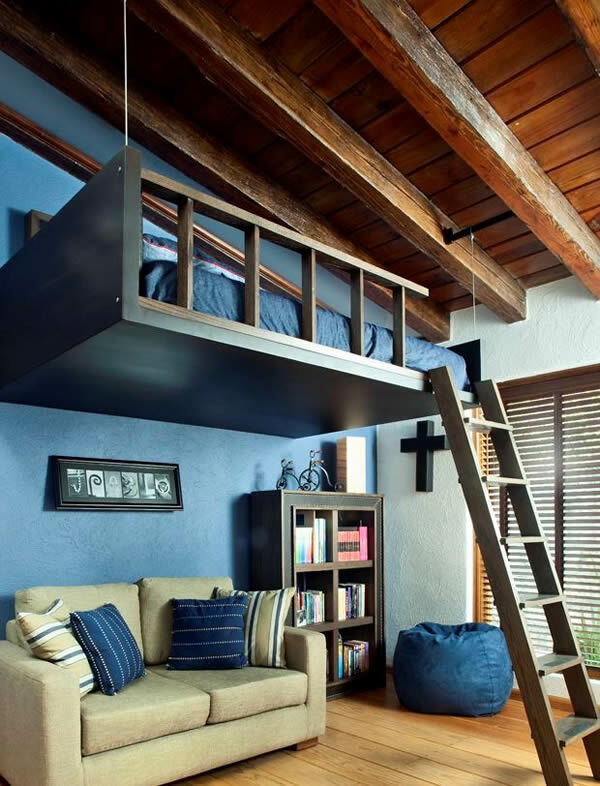 Or make a study corner or a toy corner, goes from the imagination of parents and also the taste of the child. 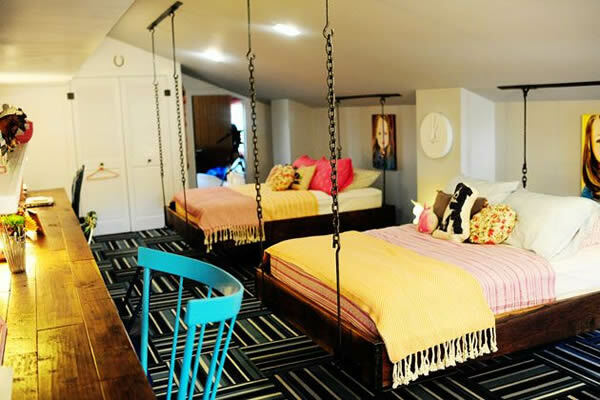 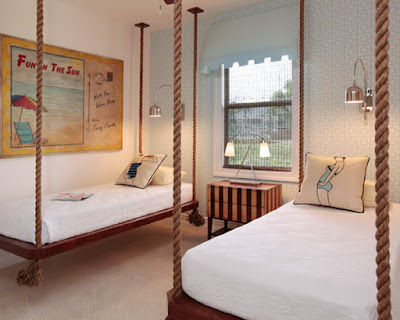 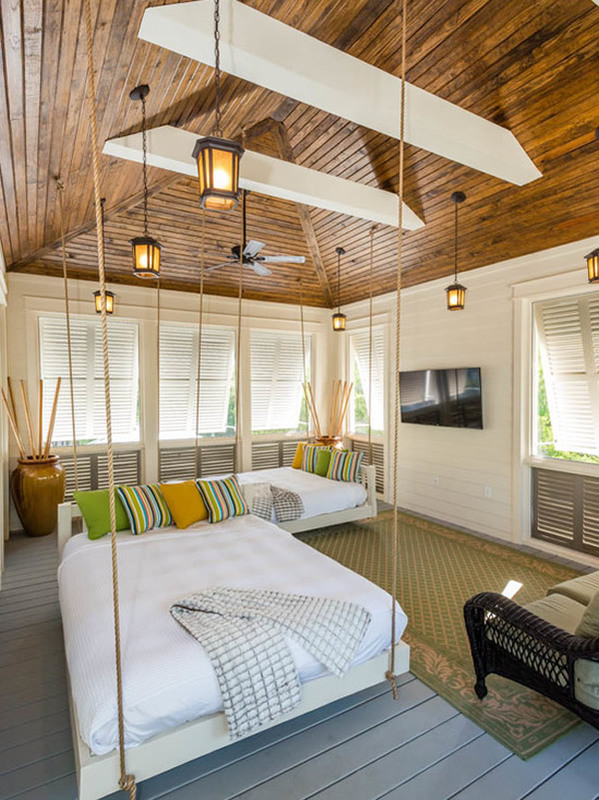 But the hanging beds are not only used for children's room, but for adult rooms too, after all it's a very interesting idea of ​​saving space and making use of the room. 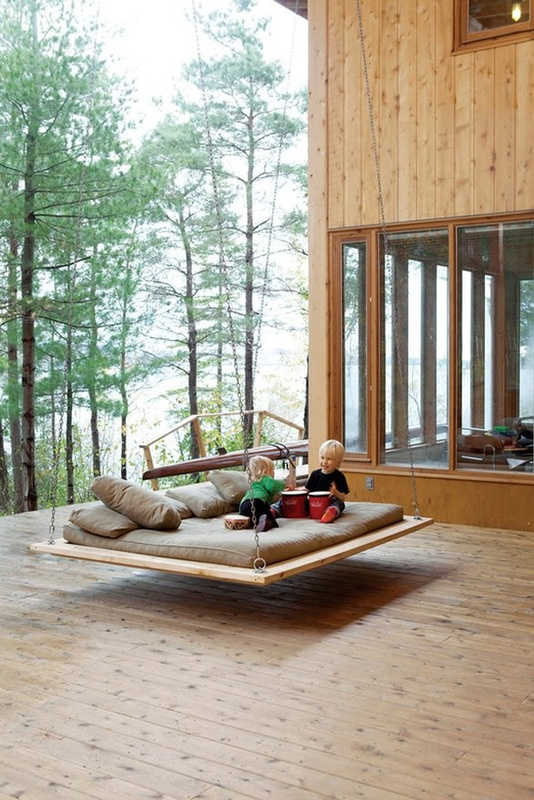 The suspended bed can be used both above and within a few inches of the floor. The ideal is to make all the necessary measures so that it does not get too close to the ceiling and an accident occurs, after all the child can come to hit the head in the ceiling, not only the child as the adult also. 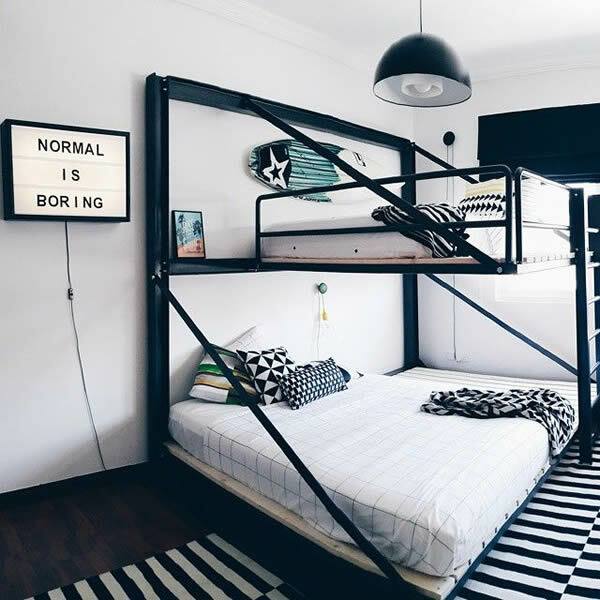 Or if it is too high, you can risk falling and get seriously injured, so do not forget to also put a protective grid on this bed, whether it is a child's bed or an adult, since protection is never too much, especially in cases of beds hanging. 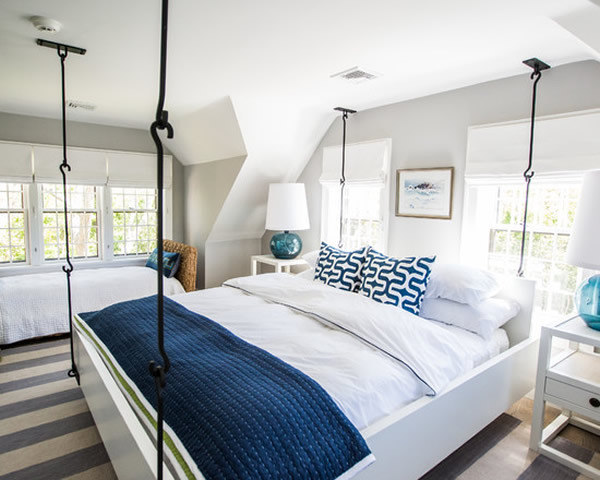 These are the models of suspended beds that we have brought to you to get an idea of ​​how to decorate your room with this type of bed. Choose the model that most suits your taste and make your room even more beautiful.